Quiet country setting on almost 1/2 acre! 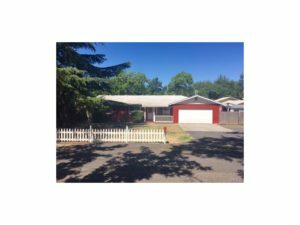 Ranch style home with separate living and family rooms, beautiful wood floors, large bedrooms, fireplace with wood stove insert, newer dual pane windows, whole house fan, ceiling fans, new carpet, RV parking, attached 2 car garage, large deck & 3 storage sheds. Great property surrounded by trees! !